The Hearts and Arrows Diamond Guide - How Not to Choose a Fake H&A! Hearing “Hearts and Arrows” for the first time, one would initially think of cupid’s bow or being struck by Love given its relation to diamonds which also scream romance. Little do we know that it’s a literal depiction of the diamond’s supreme symmetrical features! Nope, we’re not talking about a heart and arrow-shaped outline. But inside a diamond’s intricate make-up – if you look close enough – you will see a flawlessly aligned hearts and arrows pattern that epitomizes what visual diamond perfection is all about! Let’s get to know this masterpiece and discover how to choose one that’ll hit your budget bullseye! So, What is “Hearts and Arrows”? The pattern mentioned earlier consists of eight hearts and eight arrows that can be seen in a diamond of superb cut quality. On the left side of the picture above is a flawless diamond displaying eight symmetrical hearts. This is what you’ll see by putting the diamond into a hearts and arrows viewer with the table down. On the right side, the eight arrows are viewed with the table facing up. A hearts and arrows viewer should not be confused with an Idealscope or an Angular Spectrum Evaluation Tool (ASET). These are tools to evaluate the light performance of a diamond. A hearts and arrows viewer, however, only has the function of depicting the hearts and arrows (H&A) pattern as crisp as possible by providing a color contrast. By the way, don’t be surprised if you find H&A images in blue, purple, orange, or some other color. Although red is the most popular because it provides the highest degree of contrast. Masterful craftsmanship is required to create flawless H&A diamonds that they’re regarded as super ideal. Indeed, just around 1% of all diamonds produced in the entire world are true hearts and arrows diamonds! And where in the world did they come from? It was in the 80s when Japanese jewelers first discovered that certain diamonds exhibited a kaleidoscopic pattern. Japan was and still is a huge diamond market with a customer base that is particularly status-oriented. If you have been to Japan, you would have noticed that a lot of women are walking around with Louis Vuitton bags. The same applies to diamonds. Nowhere in the world are D-colored and IF-graded diamonds are as popular as they are in the land of the rising sun. 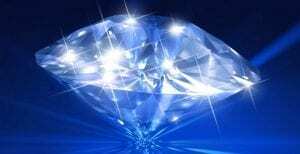 Thing is, if you have read my posts about diamond color and diamond clarity, you already know that this is a waste of money because you won’t really be able to appreciate these premium grades with your bare eyes. Due to this new standard of perfection, the Japanese began refining their polishing techniques. The hearts and arrows diamonds quickly became all the rage in Japan and was gradually swept over to the USA in the 90s. Diamond cutting pioneers such as Brian Gavin had a major influence in bringing hearts and arrows diamonds to further perfection until it was bestowed the crown as the ultimate diamond status symbol. But What’s Inside the Diamond that Creates the Pattern? 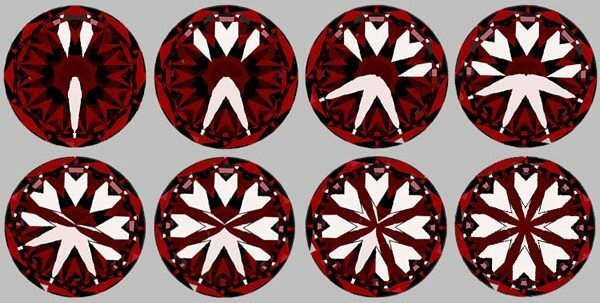 Let’s have a look at how the hearts are actually formed in a hearts and arrows diamond. If a diamond has perfect hearts, it will also automatically exhibit perfect arrows! This is why diamond experts like Brian Gavin tend to only look at the heart patterns to check the quality of a H&A diamond. Furthermore, the hearts image can only be taken if the diamond is lying flat on its table. In order to take the arrows image, the diamond has to be balanced on its tip which can cause some camera tilting so that the resulting image might be slightly inaccurate. As you can easily see, the reflection of two pavilions is required to create one heart pattern. That being so, two pavilion facets create 1 heart and 2 single sides of the next heart and so on until all the hearts are complete. Are All H&A-Labelled Diamonds The Same? Now, for one thing, you have to be aware that there is no industry standard whatsoever in terms of what a true hearts and arrows diamond actually is. Grading labs like IGI, HRD, and some smaller Japanese labs actually grade hearts and arrows diamonds. However, the most prestigious diamond grading labs, GIA and AGS, do not grade H&A. Do you see any difference between the true and the near hearts and arrows diamond on the picture below? Both appear to be the real deal, right? The truth is, only the left diamond is a true hearts and arrows diamond whereas the right diamond is a near H&A diamond. In A1, A2, and A3, the heart is well defined, the gap between the arrowhead is clear and distinct, and the clef split at A3 is very marginal. However, in F1 and F2, the arrowhead border and the split between the heart and arrowhead are not distinct and clear. Especially the clef split at F3; it’s too large for a true H&A diamond! 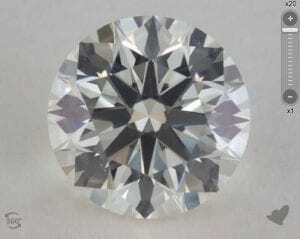 Another thing is, the difference between a true hearts and arrows diamond and a near H&A is like the variance between an IF and a VVS1 diamond: You would not be able to make out the difference with your bare eyes, but still there is a high premium price to be paid for the very best clarity grade. So, what you’re basically paying for in a true H&A diamond is the extraordinary craftsmanship that had to go into the production. It takes a true master diamond cutter and many years of practice to be able to cut a diamond to true H&A proportions! See it for yourself: The diamond on the left is a true hearts and arrows diamond which you can verify by looking at the hearts and arrows image. All hearts are equal, uniform, and symmetrical. It sparkles very nicely just like an ideal cut diamond should. Now, have a look at the near hearts and arrows diamond on the right. If you hover above the hearts and arrows image, it gets enlarged. You can clearly see that there is much more variation in the sizes of the hearts. Although this seems like a minute difference, this diamond would only be categorized as a near hearts and arrows diamond. However, I also think that this diamond has a superb sparkle, brilliance, and scintillation, and I don't see any difference compared to the true hearts and arrows diamond. Thus, if you are looking to get the biggest bang for your buck, I would definitely recommend going for near H&A diamonds! 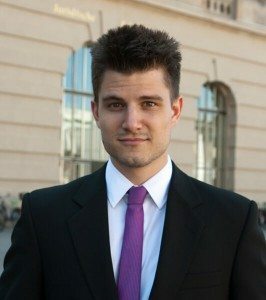 There will be a large premium to pay for true hearts and arrows, and the difference in terms of light performance will most likely not be noticeable. 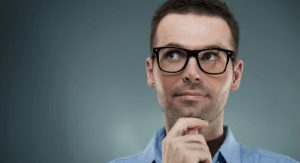 How Exactly Do You Know a True H&A from a Near H&A? There should be eight equal, symmetrical, and uniform hearts. The hearts should be distinct and separated from the arrowheads above. Thus, there should be a gap between the hearts and the Vs. The gap should be crisp and clear. There should be no clefs in the outer, middle side of the heart. Are Hearts and Arrows Diamonds Better than Regular Excellent/Ideal Cuts? Truth is, a H&A diamond is a superb marketing instrument that also appeals to the romantic nature of the people who are usually looking for a diamond. In the end, a true H&A diamond is a diamond with perfect symmetry. But light performance is only partly based on the symmetry of the diamond. The most important thing – as always – is the cut! So, How is the Light Performance of a H&A Compared to an Excellent/Ideal Diamond? The true value of a H&A diamond in terms of light performance will not be apparent in excellent lighting conditions as the sparkle of a H&A and an excellent cut diamond will most likely be very similar. Generally, the brilliance and fire you see in a diamond depend on the cut, but if there is a lot of light entering the stone, the “fine-tuning” of the hearts and arrows patterns will not be able to impact you as much as the pure amount of light return does. Now, H&A diamonds perform better in two specific lighting conditions: With diffuse light, i.e., on a cloudy day or under fluorescent lights in an office. Excellent cut diamonds will still return white light, but there will hardly be any fire (the dispersed light of a diamond that appears as rainbow colors). As for H&A diamonds, they will exhibit a remarkable amount of fire due to their symmetrical contrast patterns. They also perform much better in soft lighting like when a diamond is near a monitor in the dark, a lantern, or a candle. It’s not bombarded with light, so the H&A finetuning begins to kick in noticeably! Without much light entering, a H&A diamond will maximize the light return and offer a lot of brilliance and fire. After all, they are known for sparkling in white and rainbow colors even in rather dark environments. As pointed out before, you will have all these benefits with a near hearts and arrows diamond, so you don’t have to buy a true H&A diamond – unless you want to, of course. In good lighting conditions, I myself see a small difference between a regular Excellent/Ideal cut diamond and a H&A diamond, but I also know people who can’t see the difference at all! 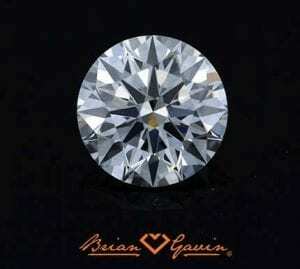 The best place, in my opinion, to get true hearts and arrows diamonds is Brian Gavin Diamonds or Whiteflash. Both websites were founded by Brian Gavin who is obsessed with hearts and arrows diamonds and only accepts the very best diamonds in his signature series. Another great place to get near hearts and arrows diamond that are cheaper is James Allen with their True Heart signature series. If you are not looking for the ultimate perfection in diamond craftsmanship but rather to get the biggest bang for your buck, you should definitely go and check out James Allen “True Hearts” diamonds. I know that it might be difficult to discern a true H&A. So, if you need any help in getting a hearts and arrows diamond, just drop me a comment or write me a mail!